Chem-Dry of Acadiana offers outstanding services for leather furniture cleaning in Lafayette. We know your leather furniture investment is kind of a big deal so we have tirelessly worked to make sure our system will clean and renew your leather furniture without ruining it. 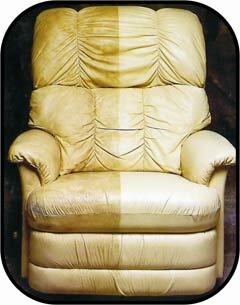 We specialize in leather maintenance in Lafayette and even restoration. Over time, body oils, perspiration and other soils can work their way into your leather furniture. Many cleaning products currently on the market are not appropriate for leather, and may actually break down leather finishes, leading to dryness and cracking. Chem-Dry leather products are not only safe, but are extremely effective for cleaning & restoring your leather furniture. With regular cleaning you can potentially prevent unnecessary wear and keep your leather furniture looking brand new. Atmospheric Soils : Consider the dust that builds up on a coffee table or desk over a week’s time. This same dust is being deposited on your leather. In addition to this dust you add airborne cooking oils and atmospheric pollutants that are present, to some degree, in every home. 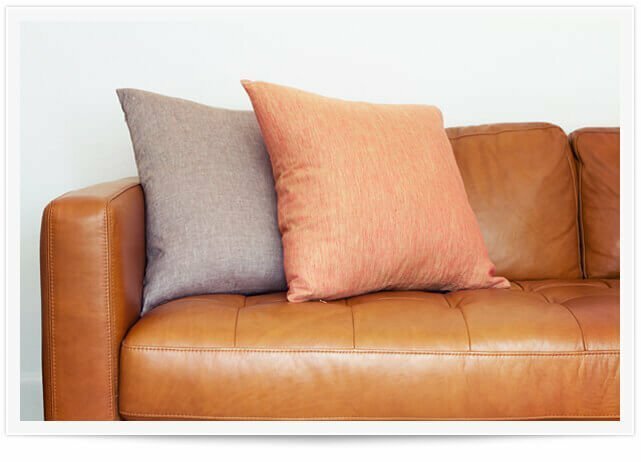 Over the life of your leather couches & chairs you are sure to experience some of the common problems associated with all leather furniture. Our Chem-Dry Certified Technicians are trained to address these problems. We will sit down with you, assess the damage and then explain our step by step process before beginning. Chem-Dry of Acadiana has 60 stock pigment colors similar to the ones used in the tanning process to repair the inevitable scrape or scratch on protected leathers. We can also revitalize color on sensitive aniline leathers. How Often Do I Clean My Leather? A regular cleaning schedule including professional cleaning 1-2 times per year is recommended. In between professional leather cleanings, you can maintain the health and beauty of your leather furniture by cleaning with Chem-Dry Soft Cleaner® and rejuvenating the protection with Chem-Dry Protection Cream®. Both products are found in the Chem-Dry Home Leather Care Kit® available from Chem-Dry of Acadiana in Lafayette, La.